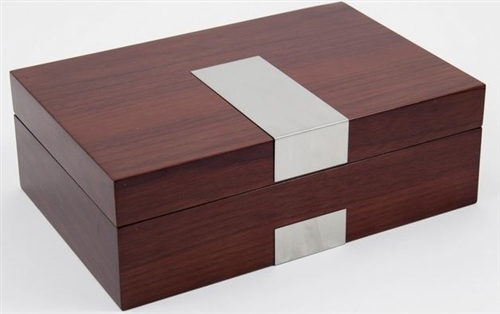 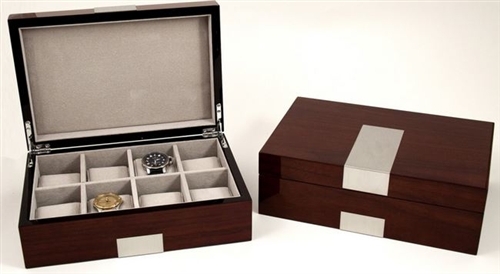 Walnut watch box holds 8 watches with removable pillows. 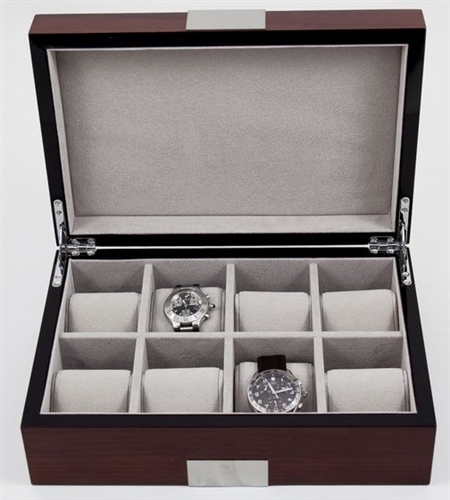 Stainless steel accents give it that look of luxury. Looks great on the dresser top!